OS PDFIndexer is a Joomla 1.5 native extension developed by Ossolution Team to allow indexing and searching content of pdf and word documents in your Joomla site. Create events, allows users register for these eventsv (both Free and Paid events) and get paid via online payment gateways. Provide a quick, easy, reliable way for send ingmass mails to your customers/site users (users from certain Joomla Groups, users stored in a database table (Virtuemart customers, Events Booking registrants...) or users stored in a CSV/ Excell file. Joomla 2.5 support tickets /helpdesk extension developed byOssolution Team. Building on the top Joomla framework and Twitter Bootstrap, Helpdesk Pro not only provide you an easy to use, features rich support ticket system but also a nice, clean, modern interface to end-users. Create and sell subscription plans, giving access to resources on your site based on active memberships of site members. EDocman is an Electronic document managment sysem /download manager extension for Joomla 1.6, 1.7, 2.5. CSV Advanced is a power, flexible and friendly component, allow you to import data for Virtuemart from CSV files. It is compatible with Joomla 1.5, 1.6, 1.7, 2.5 and Virtuemart 2.x. Create forms, allows your site members fill in information in the form and process payment via online payment gateways. Get one time and recurring donation from visitors of your site via online payment gateways. Sell documents(extensions, templates, software, ebooks...) and get paid from your customers via online payment gateways. Index your PDF documents and allows it's content searchable through your Joomla site. Allow your site member purchase credits and use these credits to access to articles, documents and videos of your site. Mass Menu is a Joomla 1.5 native component which allows you to create a huge amount of menu items for articles of your site easily, fast and exactly. This component is a great tool to import products into Virtuemart by using images as input data. It will save much of your time for creating products for your E-Commerce site. OS Property (OSP) is property listing component for Joomla systems. It’s easy to use, configurable via the admin backend and it has a lot features to make your listing system great. 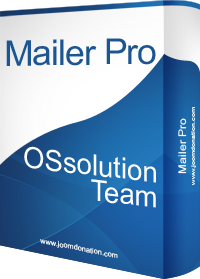 Osssolution Services Booking (OSB) is created for Joomla 2.5. It is used for online service scheduling and appointment management. This component has a lot of great features to make your services booking system helpful with the customers. 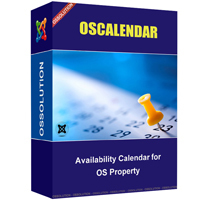 OS Calendar provides availability calendar feature for properties of OS Property component.